Craving ramen? You're in luck: a new business has opened its doors in the neighborhood. Located at 2717 W. Lincoln Ave. in West Anaheim, the newcomer is called Ramen Hajime. The eatery has taken over the Korean bibimbap spot Orange Bap, OC Weekly reports, complete with its own noodle-making machine. Menu highlights include fresh pork buns, fried octopus, seasoned seaweed salad, rice bowls and a selection of ramen dishes like tonkotsu ramen with red spicy noodle. Ramen Hajime has gotten an enthusiastic response thus far, with a 4.5-star rating out of 37 reviews on Yelp. 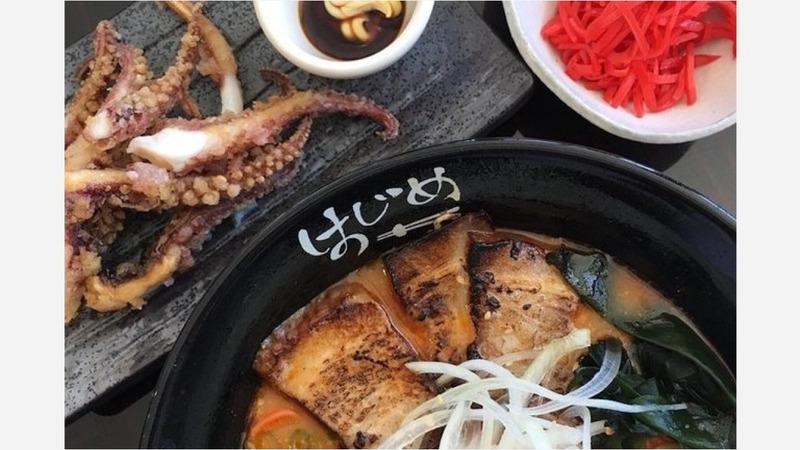 Aaron E., who was among the first Yelpers to review the new spot on May 30, said, "An honest, authentic ramen finally makes its way to Anaheim, Calif. ... The service is stout and the interior is an industrial/modern mashup that is kept impeccably clean." Best ramen in Anaheim! Hands down," added Yelper Diana C. "Homemade noodles and delicious broth." Interested? Stop by to welcome the new business to the neighborhood. Ramen Hajime is open from 11 a.m.-3 p.m. and 5-9:30 p.m. on Monday-Thursday, 11 a.m.-3 p.m. and 5-10 p.m. on Friday and Saturday, and noon-9 p.m. on Sunday.